The Avocent AutoView AV3008 is a digital KVM appliance which includes access for one digital users, access for a local user in a single solution and supports 8 target devices. The on-board Web interface lets you remotely and securely manage all connected servers and serial-based devices from any location. The local port gives you convenient at-the-rack access. These solutions also include local PS/2 and USB peripheral support. 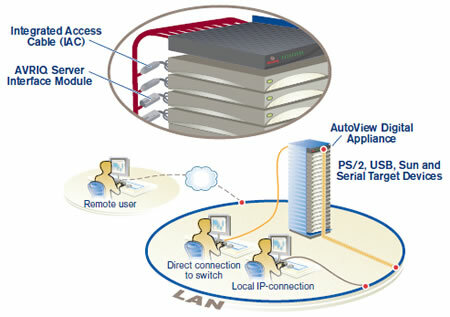 The AutoView 3008 digital KVM appliance offers LDAP user authentication, SSL-128 bit, DES, 3DES or AES communication. Other security features include 64 user accounts and an access control list for each user. Security. LDAP authenticated and encrypted IP communication between the user's browser and switch can be SSL-128 bit, DES, 3DES or AES. On-Board Web Interface. No need to load and manage another software program on the user's PC. Access. One or two digital paths let you remotely manage all connected servers and serial-based devices. A local port provides at-the-rack access for a local analog user. Multi-Platform Support. Local PS/2 and USB connections and multiplatform target devices, including PS/2, USB, Sun and serial support. IPv6 Support. Supports Internet Protocol Version 6. Answer: Thank you for your inquiry. Unfortunately, dongles/SIPs/CIMs/CAMs/Pods for KVMs are typically proprietary and not interchangeable. IT is possible it may work fine, may work with limited functionality or it may not work at all. For full compatibility and to prevent possible damage, we would recommend using interface pods only from the manufacturer. Thank you for your inquiry. Unfortunately, dongles/SIPs/CIMs/CAMs for KVMs are typically proprietary and not interchangeable. 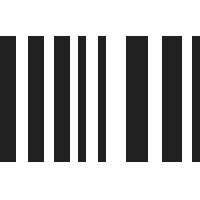 Question: Hi, though the specifications indicate a target resolution of up to 1600x1200 pg. 70 of the manual states "When Full Screen mode is enabled, the image adjusts to fit the desktop up to a size of 1024 x 768". I require the web interface to display 1600x1200 in full, however the manual isn't entirely clear on whether this is possible. Could you please advise? Answer: Thank you for your inquiry. We are waiting to hear back from the manufacturer to confirm the specifications. We will update this page and notify you when we hear back from Avocent. -UPDATED: We have received confirmation from Avocent that the remote port for the AV3008 and AV3016 has a maximum resolution of 1600x1200 @60Hz. The lower resolutions for the remote user (1280x1024 @75Hz) found in the manual reference the AutoView3200. You can cascade other AutoView switch models to an AutoView 3008/3016 switch via a CAT 5 cable. In a cascaded system, an available target port on the AutoView 3008/3016 switch will connect to an AVRIQ-PS/2 module or ACI (Avocent Console Interface) port on each cascaded AutoView switch. NOTE: In a cascaded configuration, the AutoView 3008/3016 switch must be at the top of the cascade. 1. Using an appropriate length of CAT 5 cable, connect the ACI port on the cascaded switch to an available port on your 3008/3016 switch. 2. Repeat step 1 for all additional cascaded AutoView switches. Answer: Thank you for your inquiry. Yes, you will need to purchase Computer Interface Modules for each device you plan to attach to the AutoView 3008. The DSAVIQ-PS2M will work with PS/2 compatible devices, and the AVRIQ-USB2 will work with USB enabled devices. You can also use the integrated access cables. The USBIAC line will work with USB devices and the PS2IAC will work with PS/2 devices. Question: Would this KVM switch give virtual media support? would this CIM DSAVIQ-PS2M give the KVM virtual media support. Answer: Thank you for your inquiry. Unfortunately, no, the AutoView 3008 does not natively support Virtual Media. Additionally, since the AV3008 does not natively support Virtual Media, using the DSAVIQ-PS2M will not provide that functionality. Question: Does this switch have any non-volatile memory? KVM Over IP Switches, like this AV3008, typically use Non-volatile memory for resolving the connected sources. You may be interested NIAP-certified Secure KVM Switches which do not utilize non-volatile memory to prevent any chance of ease-dropping. If you would still like IP capability, you may also want to consider the Raritan Dominion KX III series which is designed for more secure Enterprise environments (note, some of the cache may still persist - IP KVMs cannot be NIAP-certified secure due to the fundamental nature in which networked devices communicate). For a recommendation based on your application, please feel free to contact your KVM Switches Online sales representative directly. Question: The ECCN (export control classification number) for the AVOCENT 3008 KVM-Switch, Export-data and HTS please? Thank you. Answer: Thank you for your inquiry. The ECCN is 5A992. The HTS US is 8471.80.1000. The HTS SG is 8471.80.10.